Searching for Mini cables? Here at Mini Sport, we have all the cables you could need to ensure that your classic car runs as it should be doing – providing you with the opportunity to experience its fantastic driving ability. – Providing assistance to the carburettor to mix air and fuel, it’s essential to ensure that your Mini has a fully-functioning choke cable in order to experience a smooth ignition. If you’re searching for spares, then we have a full range of Mini choke cables here at Mini Sport that covers every model, right from the 1959 Mk1 to the Mini Coopers of the 1990’s. – Ensuring that the vehicle remains stationary when needed, every handbrake needs well-functioning Mini cables to be able to control the position of the car. 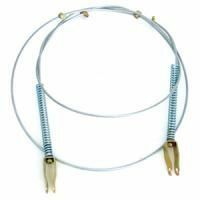 Our range includes all the Mini handbrake cables you could need for all 1959-1976 twin cable models of Mini Saloon or Traveller/Van, right through to the front and rear cable set-up that was used in Mini’s from 1976-2001. – Keep the interior of your Mini nice and warm during those cold winter nights by improving the function of the heater, with new cables. 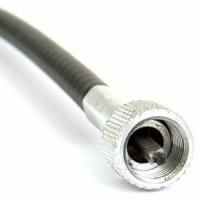 Once again, we are able to supply replacement replica cables for every model of Mini – from the Mk1 to the last 2001 MPI. – Spinning around and powered by the driveshaft, the cable carries the message of how fast the car is moving and communicates it to the display on the dashboard. 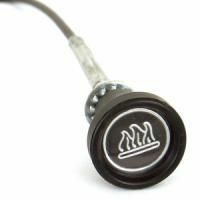 If you've noticed that your speedometer has started to malfunction, then it’s likely that your Speedo cable needs to be replaced. 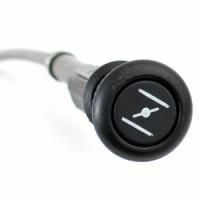 Regardless if your Mini is right or left-hand drive (with the speedometer in the centre of the dashboard or behind the steering wheel) we will have the ideal Mini cable to suit whatever your set-up may be. When it comes to creating, sourcing or even fitting Mini parts and spares, the Mini Sport team has done it all. Since our advent, back in 1967, we have maintained the same ‘high-quality products, at the right prices’ philosophy – the DNA of our business. In the 50+ years since, we have grown to be a world-leading service in the supply of Mini cables, parts and components to fellow enthusiasts around the world. As the Mini was imagined as an economical car during its heyday, we believe that this same spirit needs to be reflected in the modern day – which is why we go that extra mile to procure and present great-value products that will help your Mini to function for many more years to come. If you're looking to replicate the look and feel of your Mini, want to customise it or even want to take advantage of its natural racing ability, then we will have every part you need to achieve your aims. Our friendly team are also on hand to assist you with any queries you may have on any aspect of Mini servicing. Need To Learn More? Get In Touch With Our Mini Specialists Today.